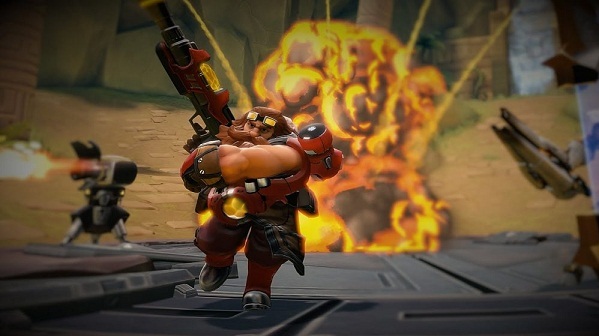 Paladins may be a genre mix of Shooter and Moba, but the emphasis is on Shooter. Without the necessary protection, one cannot get far with the best strategy. In general, Paladins has a quite generous hit box. So you don’t have to hit the champions exactly like in Overwatch. But also the hit boxes must be taken to distribute damage and get kills. This is more difficult with the controller than with mouse and keyboard. The following champions need less "Aim" than others. We have a champ for each roll. Lex is a flanker and creates damage at short and medium distance. He has two abilities that allow him to be automatically targeted - In Pursuit and Law. In Pursuit is one of his habitual abilities and causes Lex to fire magnums with accuracy. This skill gives less damage than Lex's auto-attack, but it is perfect to guarantee hits. While you use the safe hit of In Pursuit to your advantage, you can also practice targeting with Lex 'auto-attack. The Law is Lex’s Ultimate Ability. Opponents who have less than 65% health are directly affected. If they have over 65% XP, the targets are damaged and slowed. Also this ability does not require any targeting, which assumes the ability automatically. However, please note that Lex needs a clear view of the target. Barik belongs to the class "front line", but he is not a classic tank. He protects his allies with large barricade shield and turret, which he spawns. You can use Barik to set up two small guns that automatically attack enemies. Why aim yourself when the machines can do for you? Barik's ultimate ability to "unlock" creates a massive bubble in which a turret spawns. The turret shoots at all the enemies who move into the bladder. The bladder is also a shield and the flamethrower directs damage to the area. Otherwise you can set Barik protective barricade behind which you can crawl with your team. 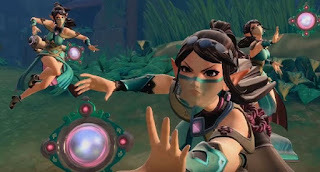 Ying is a healer who creates illusions of herself to create confusion. The illusions heal allies near by automatically. So you don’t need to activate a healing beam or hit your allies in any form. The illusions are done all by themselves. So you quickly become a useful supporter. But also, if you want to support your team with damage, the illusions can help. Ying's illusions will bounce on your opponents and crush them. The illusions follow the opponents automatically and cause damage during the explosion. Ying's ultimate ability heals all allies on the entire map and also does not need any Aim. 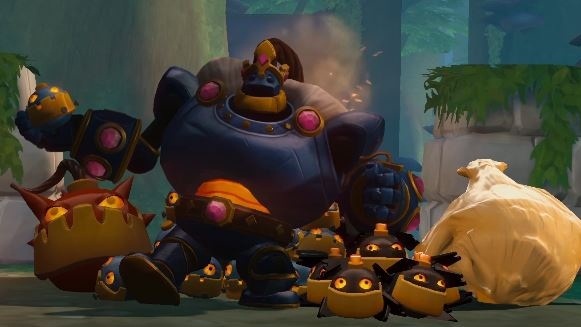 The Bomb King is a damage champion, who causes severe damage to the area. This has the advantage that your abilities can damage you even if you don’t hit your opponents directly. It counts the radius of the impact area. The king can throw a total of six sticky bombs that stick to opponents and surfaces. With the ability "Detonate." High damage can cause if the bombs are not attached directly to the enemy, but close to them in the vicinity. The Poppy Bomb behaves similarly, but gives opponents a return and does not cause any damage. With the ultimate ability, you transform yourself into a bomb and roll into the enemy. Enemies who are in the blast radius are stunned and get big damage. Nevertheless, if you hit your opponents precisely, they still suffer the greatest damage. In general, the champions on the console are more difficult to learn than on the PC. Champions like Evie or Drogoz require some more skill and precision. Tanks like Torvald are slightly slower and easier to play and learn. This might make the front line perhaps more popular on the PS4 and Xbox One.